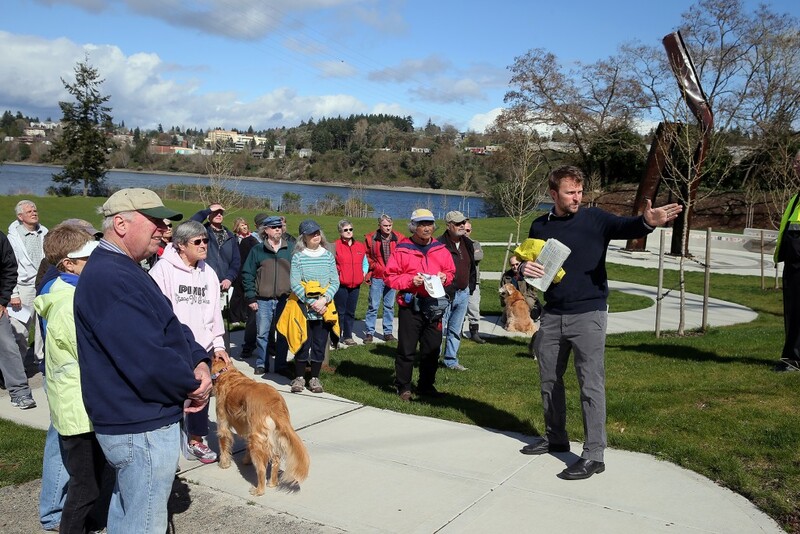 About 40 people came out for the third Story Walk in Bremerton of the year, meeting at Evergreen-Rotary Park on a surprisingly sunny Saturday afternoon. 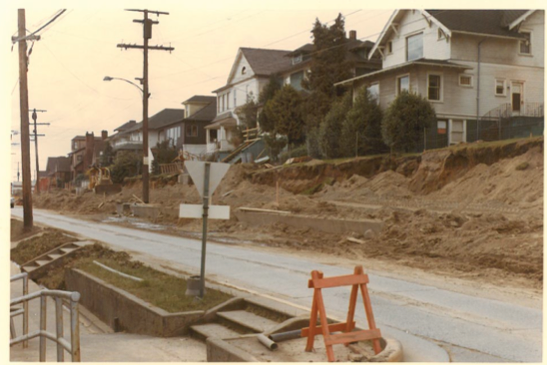 This time, the focus was the $3.5 million Washington Avenue project, and after an overview, we charted a course to the southeast. 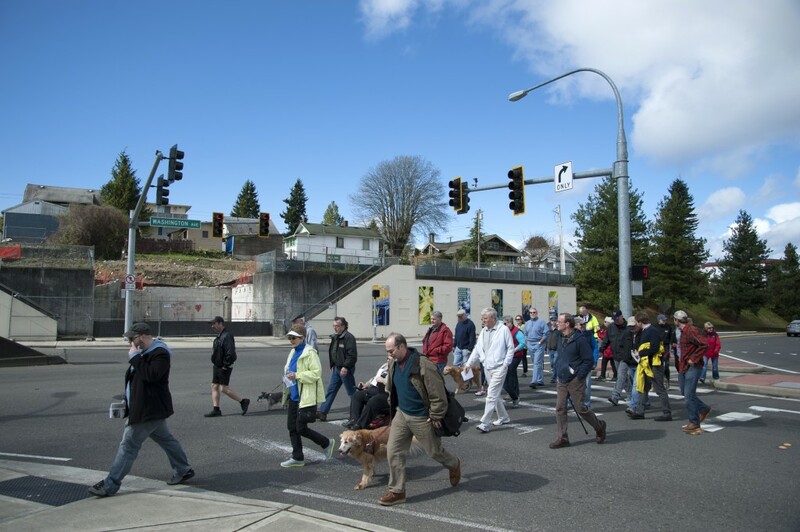 Critics do not like the idea of having less of a road in and out of Bremerton (via the Manette Bridge) and believe if the city is to grow, this won’t be a helpful endeavor. Supporters believe that the road’s eastern sidewalk has gotten so bad, drivers can afford to wait just a little longer in traffic if it means that you won’t feel like you’re going to be seriously injured if you take a wrong step. 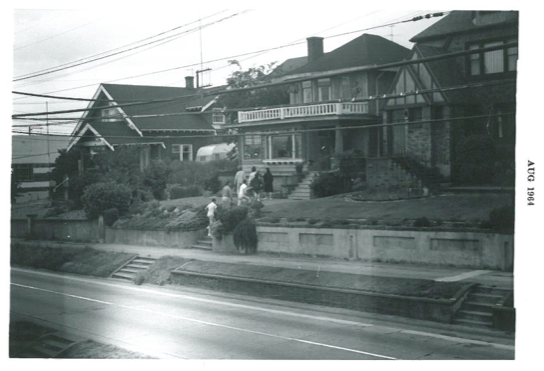 One curious aspect of the project to me is the history behind it all. 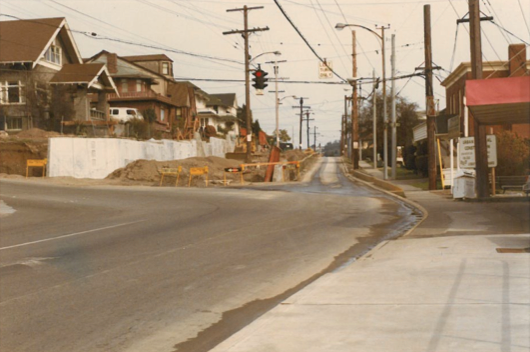 This isn’t the first time Washington Avenue’s capacity was debated and then changed — in the late 1960s, it was expanded from two lanes to four lanes. Now, we’re going back down to two. 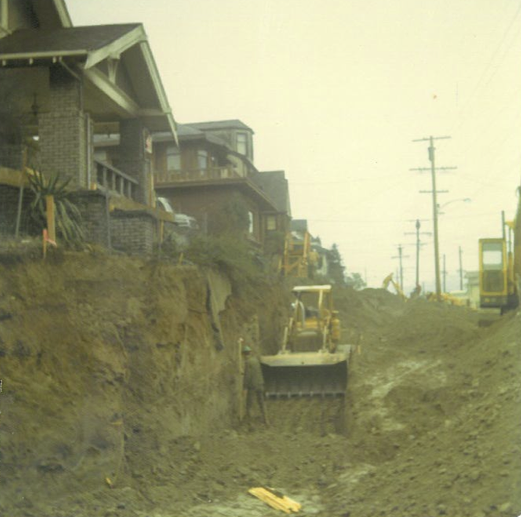 I have long sought documentation of the late 60s project from state and city officials, to no avail. 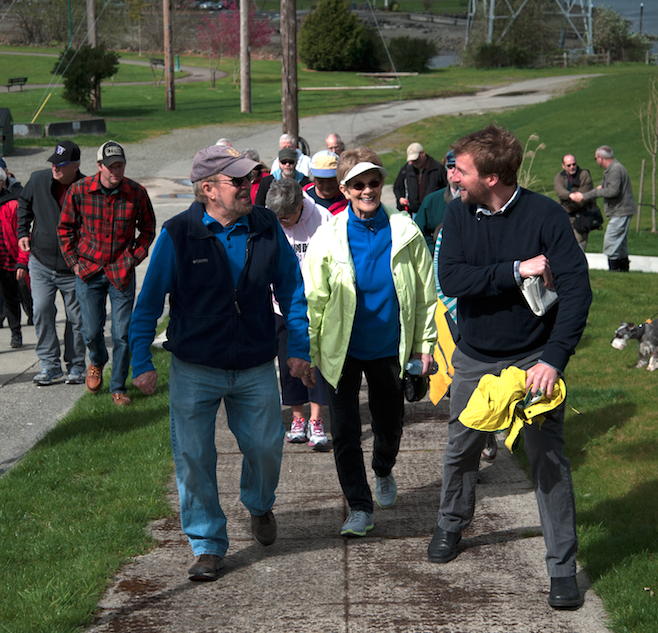 But on Friday, I got an email from Bremerton resident Jim Herdman. 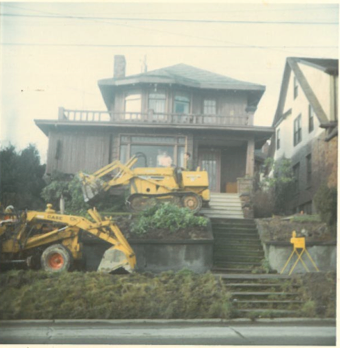 Herdman dropped off a set of photos showing construction crews tearing into yards to make the roadway bigger. I share them with you here with his permission. The work begins. 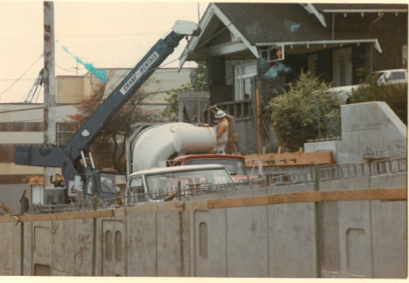 Equipment goes right into residents’ yards. Digging the hole for the retaining wall we all know and love today. The road takes its new shape. Construction for the new project starts up in April; city officials hope the road work is done by the end of the year. 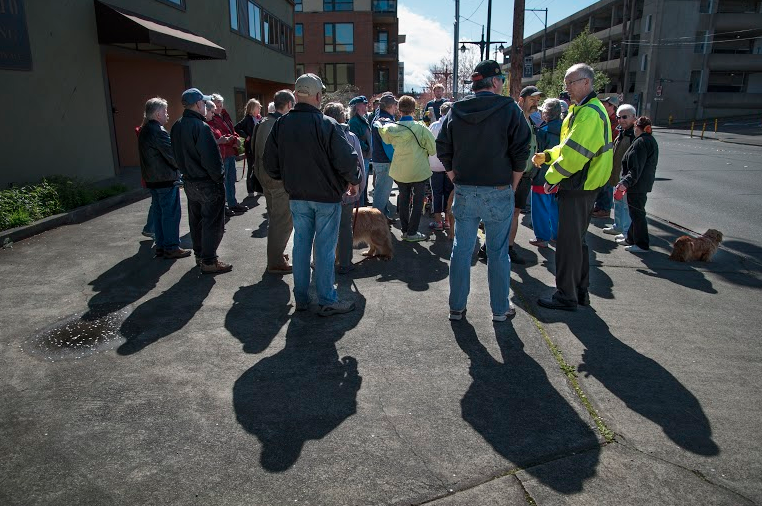 Thanks to all who came out for the story walk; mark your calendars for April 25, when we get a closer look at the Bridge to Bridge trail. I personally feel the 3 lane solution would have been the best compromise between lane capacity and pedestrian safety. I used to walk that stretch often and it not very safe. With 3 large apartments coming nearby and the possibility of three towers along this road, the need for both lanes and sidewalks is increased. I wish the city would step back and reevaluate that more instead of just taking the option that comes with some free money.